We can do better this year. It is not the impossible dream! 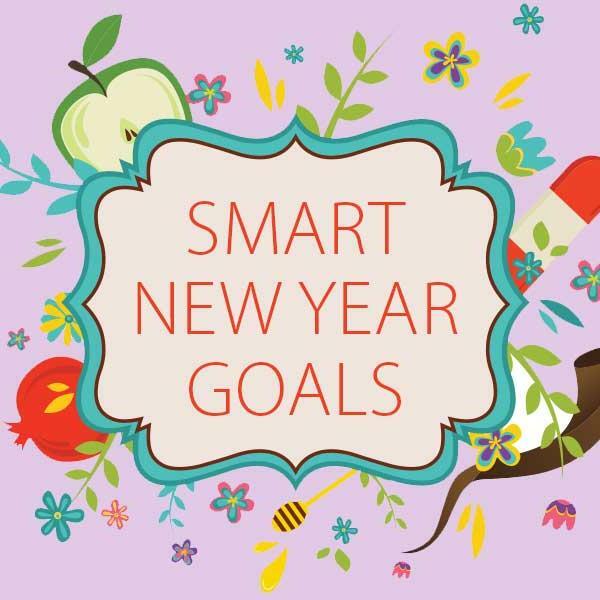 During this lovely month of Elul, when school begins and the days become imperceptibly cooler, we traditionally set goals. We look back over the year, and wonder how we have managed in various aspects of our lives, and how we would like our lives to be different in the year to come. Often, as we set these goals, they are general. We want to "do better." When I teach my classes in junior high school, and the students set goals, they often say, "I want to be a better student." Or, they may say they want to play an instrument better, or even to get along with a sibling better than they have. I then share SMART goals with them, in the following manner. For example, let's say you need to have read a book in a certain amount of time. The book is three hundred pages long, and you have a month in which to do it. Assuming that the month has thirty days, you need to read at least ten pages every day. Now ask, is this specific? (Yes! ), measurable? (Yes! ), attainable? (Yes!) realistic and time based? (Yes!). This makes the "insurmountable" something that can and will be accomplished. We break down something that seems daunting into chunks, and, as we accomplish each chunk, the end of the tunnel becomes closer and closer. The rhetorical question leads to the response, "Of course not!" James then goes on to describe someone who is without food or clothing and the fellow believer does nothing to help. This is, obviously, not the Messianic Jewish way! "Show me your faith BY your works" James 2:18. This brings us back to the achievement of spiritual growth using SMART goals. Let's say we want to establish a spiritual practice of willingness. The ten spies reaped a myriad of problems because they succumbed to a spirit of fear and unwillingness. Tradition tells us that the Red Sea split only when Nachshon Ben Aminadav was willing to walk into it up to his chin! We may be fearful. We may be content to stay in our comfort zone and not be risk-takers. What to do? Since thoughts become things, we must change our thoughts; and in order to change our thoughts we must change the words we repeat to ourselves. Perhaps we are inclined to generally say, "No." We must work on changing that. We must begin to tell ourselves, "Yes, I can" rather than "No, I can't." We must begin to practice saying, "Yes" and saying it often! Specifically, what can I say "yes" to today? Do I want a cup of coffee? Do I love my children? Am I grateful the sun rose? Get specific and be willing to say yes. How do I measure this? Perhaps when my children ask me something and my habit is to say, “Later” or, “not now.” Practice saying, “Yes!” Even one time during the day saying a pure, unadulterated "Yes!" will change the atmosphere in your home. Is this attainable? Is it possible to do this once a day? It is, isn't it? Yes? There, you did it! Is this realistic? Of course it is! No one is saying that you must tell your children that it is all right to play with knives. However, perhaps they can have an extra story or an extra cookie. Really, what could it hurt? Pretty soon you will find that you will look for opportunities to say yes, and even create situations in which you can. Perhaps you are not convinced. Let's try this with lovingkindness. We have all had the misfortune of knowing people who say they love us but we don't feel it. We basically don't believe them. Why is this? Generally, it is because their actions are not measuring up to what they are saying. In other words, they are not behaving in loving ways. So how do we behave in a loving way? Specifically, we need to speak, act, and do loving things! Every day, instead of asking God to make us a loving person, we thank Him that He is already doing this. We are being conformed into His image, and since His image is love we are, more and more, displaying that quality. In what ways is this possible? We need to say it, hear it, and do it! So, we SAY that we are growing in love toward God and His people, and ask for His help. We DO something loving (writing a letter, making a phone call, visiting the sick, bringing comfort in some way), and as we SEE ourselves doing this, it reinforces the concept that we can and will be loving individuals. I suggest actually scheduling this into your day. What specifically can I do? (Example: I will call a sick friend). Is this measurable? Of course! I will know that I have done it! Is this attainable? Yes, we can devote twenty minutes to giving loving attention to someone who is ill. Realistic? Yes. Time based? I will call at 2 p.m., or at 4:30 p.m. 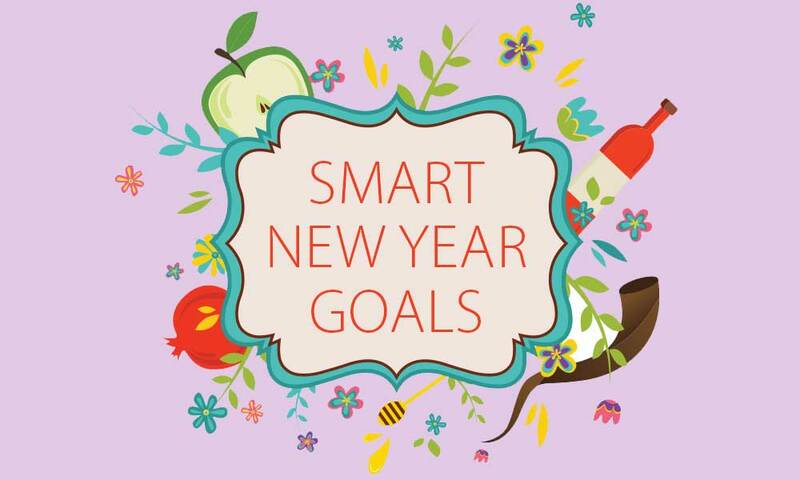 In this way, using SMART goals, we can and will be well on our way to achieving our goals this coming year. The Halachah is “the way.” We are spiritual people having a very human experience but the will of God is "not in heaven" so that someone needs to proclaim it to us. It is, indeed, specific, measurable, attainable, realistic, and time-based so that we may do it! Blessings as you go on your way this New Year!